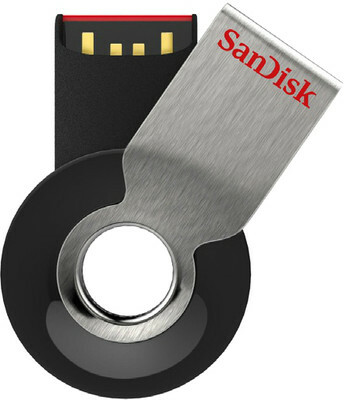 Pen Drive or USB Flash Drive is a portable storage device that is used to transfer data from one computer to another via USB ports. They are also very convenient and easiest way to data transfer and files from computer to computer and is now being used by almost everyone. Pen Drives have also become very cheap nowadays but their storage capacity has increased to a great extent over the time. Many times I have seen people blindly going for any pendrive without knowing its specifications, knowledge of brand and features. It could be due to the reason because they are cheap and they don’t really care about its quality, but if you value your data and want a reliable, durable and a fast Pen Drive then you should the following points in your mind. Here are some very important things and parameters that you should consider before buying a pendrive for your data transfer needs. Today Pendrives comes in various fancy shapes, designs and sizes to attract customers, but I recommend the traditional or standard shape (rectangular or block type) if you want some durability. The build quality of your pendrive should be good and it should feel sturdy and solid in your hands. Also try to avoid micro pendrives and very small pendrives as they have higher risk of getting damaged and getting misplaced. Brand or Company is very important in selecting a Pen Drive. Some good brands of Pen Drives are SanDisk, Transcend, Sony, Samsung, HP, Kingston, Corsair, Strontium, Adata. Please avoid local branded pendrives from brands like iBall, Enter etc. USB 2.0 Pen Drives are very common and are used every day. But from sometime USB 3.0 Pen Drives have started to come in the market with slightly higher price range than the USB 2.0 Pen Drives. Here I advise you to get a USB 3.0 for the extra money if your budget allows you to otherwise USB 2.0 Pen Drive would be good as always. 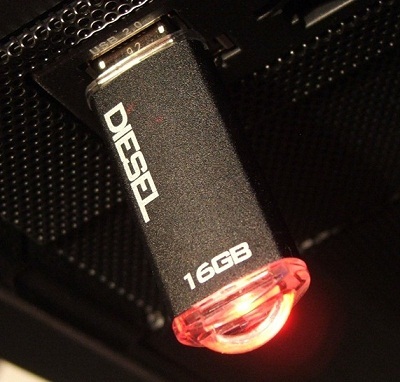 For normal day to day office work and for transferring word documents, PowerPoint presentations, excel files, text files, some mp3’s, a pen drive having a capacity of 2 GB to 4 GB is sufficient, but if you are planning to use your Pen Drive to transfer DVD’s, Videos, Music, Games or other big files then you should get a pendrive with capacity ranging from 8 GB to 32 GB or even more i.e. 64 GB, 128 GB, 512 GB (Maximum Capacity). Data Transfer Speed of a Pen Drive or any storage device is classified into two i.e. Read Speed and Write Speed. We often say both of them combined as Read / Write Speed. Higher the Read / Write speed of a device, the higher or faster is its performance will be. Read/Write Speed of Pen Drive is generally measured in MB/s or Megabytes per second. Also it should be noted that Read Speed is usually higher than the Write Speed of a Drive. Read Speed – It is the speed at which data is read from the Pen Drive. It is usually measured in MB/s. Write Speed – It is the speed at which data is written on the Pen Drive. It is also measured in MB/s. Read Speed > Write Speed as more work is done in Writing Data on the Disk as compared to Reading it. For Example, Strontium JET 16 GB USB 3.0 Pen Drive has Read Speed of 40 MB/s and Write Speed of 15 MB/s. So make sure that the Pen Drive you are selecting has higher Read/Write Speed as compared to others. Other Features includes LED Indicator, Security Software etc. LED indicator comes in very handy as you can get an idea that the drive is still in operation and it is transferring data. Most of the Pen Drives comes with 3 to 5 years of Warranty. More Warranty means more peace of mind. Which is the best micro sd card company? And also in clasd 10 there are two vriants like evo and evo+ in case of samsung. Both are reputed companies and makes good microSD cards. Sandisk is a company that specializes in flash storage products but Samsung is a much bigger company and makes various products. We can compare the performance of the individual cards from these two companies but not the companies as whole. EVO and EVO Plus are series of microSD cards from Samsung. Both are good but EVO Plus has better read / write speeds and overall quality. Which memory card is better, sandisk ultra( 80mbps) or samsung evo plus( 95 mbps) ? Also flipkart or Amazon, Which one can i trust? Go for Samsung evo plus and amazon.